I will try in the future to tell more about the pictures. 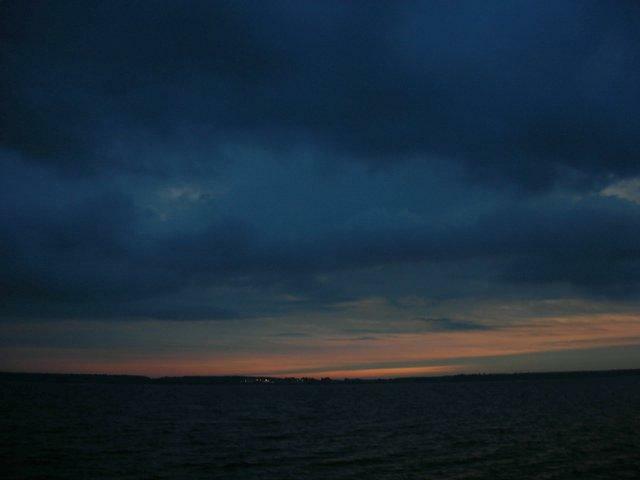 This picture was taken shortly after sunset (the blue hour) at a place called Stolbro. The picture shows Augustenborg Fjord (Augustenburg Bay), in the distance you see our local tiny airport. I have done much to the picture. Small adjustments of saturation (color) and a little blur as far as I remember.